To see the full downloadable brochure for our cotton dyes go to the Downloads page. To purchase our cotton dyes go to the store. 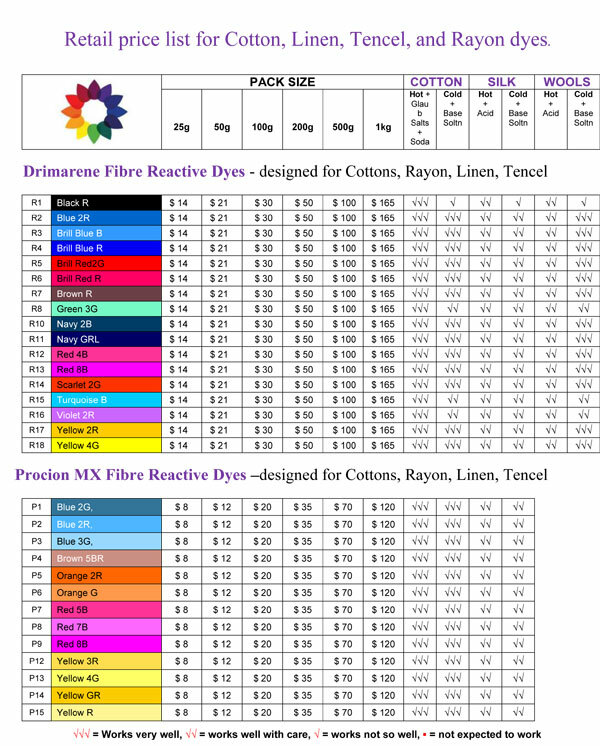 Download our informative FREE 'Guide to Dyeing' documents, dye colour charts and Teri Dyes price lists here. We will post your purchase anywhere in New Zealand. Click here to see our shipping information.